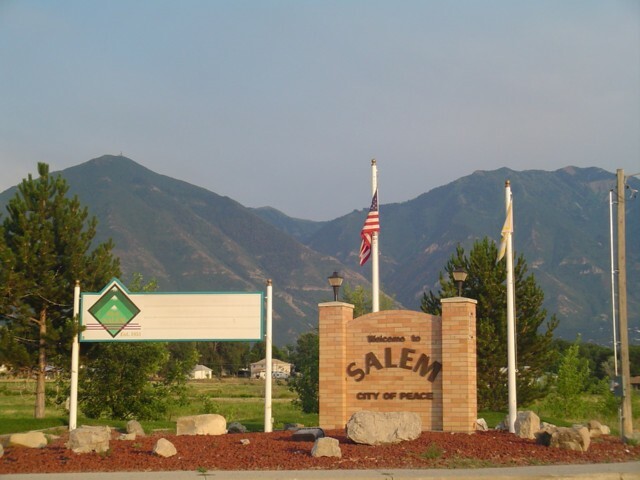 Salem, Utah is in Utah County between Payson and Spanish Fork, also near Elk Ridge and Woodland Hills. Winter and the threat of hostile Indians caused the families to return to Peteetneet, but “Pond Town” had a beginning with the dammed springs. In 1852 the two founders built a second and more secure dam, but by the next year the families had moved to Peteetneet and the new settlement was abandoned. 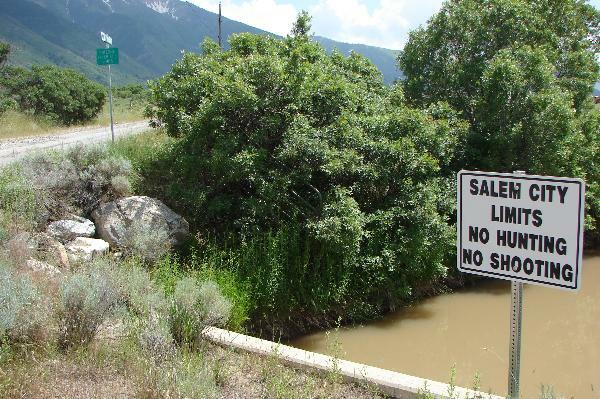 Popular crops were wheat and other grains, as well as tomatoes and peas for the Del Monte food-processing plant, located between Salem and Spanish Fork. Beginning in 1891, sugar beets were grown extensively for the factories throughout Utah Valley. A “beet vacation” allowed boys out of school to assist in harvesting. Many farmers specialized in growing garden produce or in raising poultry. Local ranchers had grazing rights and permits in the nearby national forests, in Strawberry Valley, and in privately owned property in Loafer Canyon. The LDS Church started a co-op in Salem in the late 1860s; it operated largely on the barter system until it was discontinued in 1897. Several small stores were operated for short periods of time. In 1908 the Salem Mercantile Company was started by the James Peter Christensen family, which operated it until 1969. For many years the “Merc” used the barter system and issued scrip. In 1946 Melvin R. Hanks started another grocery business on Main Street. Later continued by two sons, this family business also thrived. 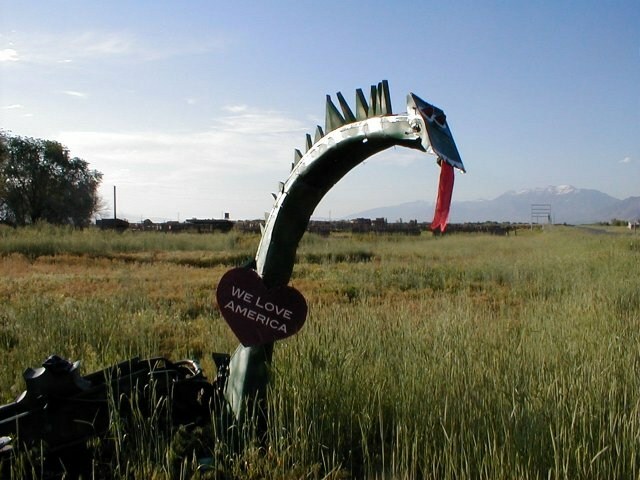 There were a number of service stations along U.S. Highway 91, and a motel. Through the years the town also had a drugstore, barber shop, and a saloon. A few businesses are still clustered along the highway. 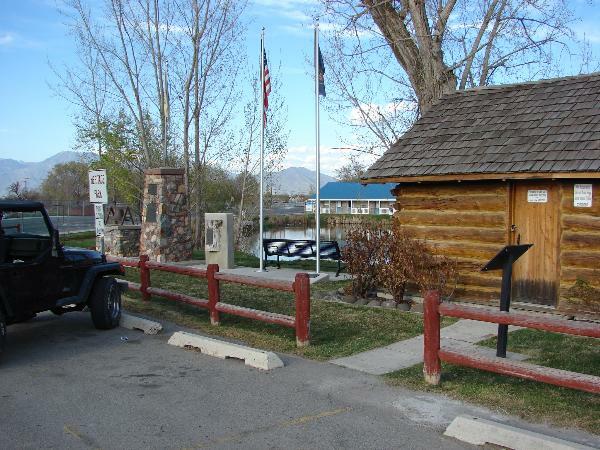 The LDS Provo Stake served Pond Town’s religious needs until Salem Ward was created in 1877. A red brick church was completed in 1898, remodeled in 1938, and replaced in 1972. The one ward was divided in 1956, and currently there are two local LDS stakes.